We are extremely pleased to announce that Katie Harrington is the recipient of the first Marion Paviour Award. The purpose of this award is to further research into the conservation of birds of prey and support early-career researchers working towards this goal. We received a large number of high quality applications for the award, however Katie’s application impressed all the judges; her unique and interesting project, and obvious dedication made her stand out from the crowd. 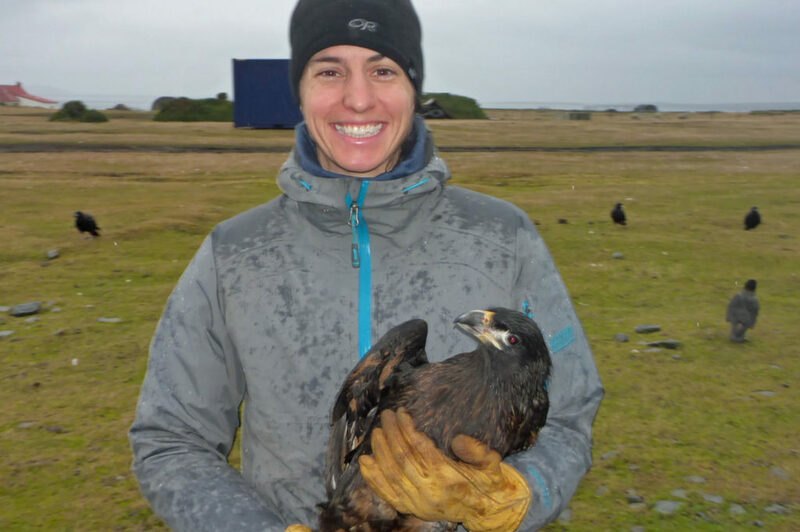 Katie is a graduate student from Moss Landing Marine Laboratories in California, USA and the Marion Paviour Award will help her to fund her Master’s thesis researching the Near-Threatened Striated Caracara (Phalcoboenus australis) in the Falkland Islands. 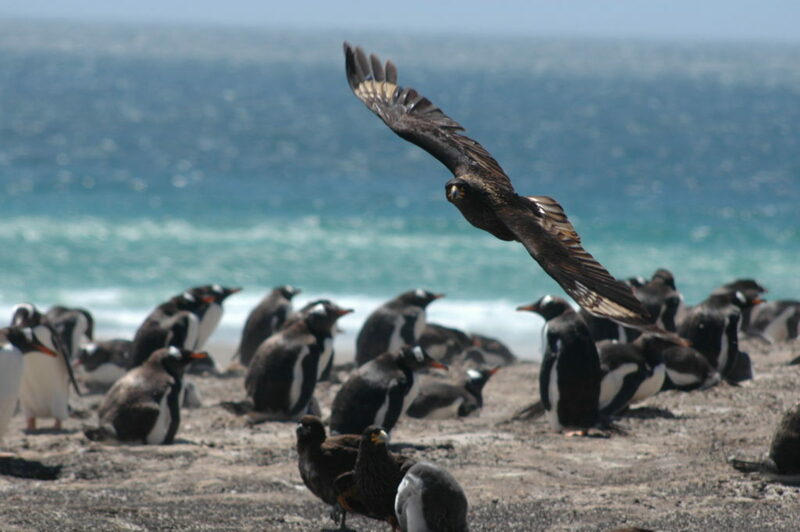 For her research, Katie is using tail-mounted data loggers to collect high-resolution data of the caracara’s body movements which will allow her to calculate their daily activity budgets (how much time they are spending doing different activities during the day, for example how much time they spend moving or feeding), and use this to work out their daily energy use. Katie is very grateful to the Hawk Conservancy Trust for the Marion Paviour Award which will help to fund her trip to the Falklands in February for an additional season of data collection, that will allow her to complete her graduate research and contribute information critical to the conservation management of this remarkable species.